June 23, 2004 - "beetletruck!" 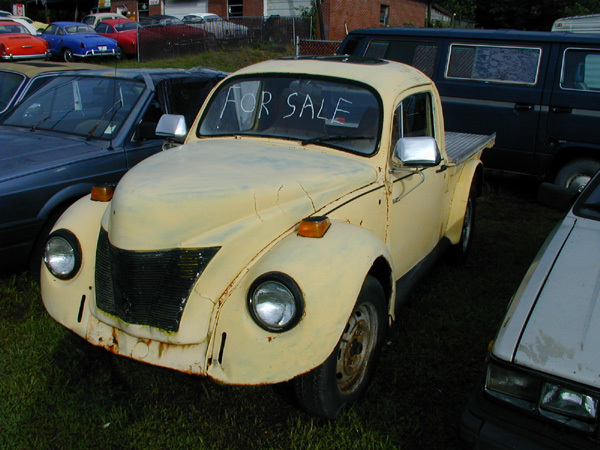 Looks like a beetle with the hood of a '40's era truck, and a truck bed behind. And a sunroof!